If you love adding garnishes and herbs to the dishes you serve, having herbs on your windowsill can help you save on cash. 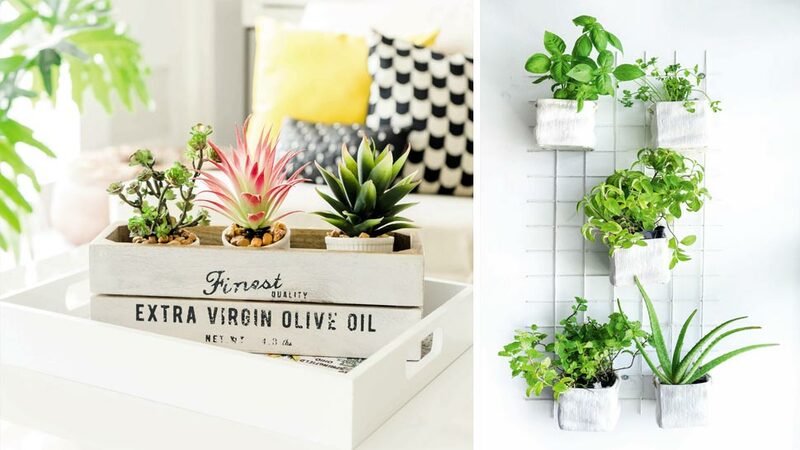 Instead of buying supplies, you can start your own herb garden with tin cans and recycled items as planters. Not only will herbs make your dishes more fantastic, they can also give your cooking corner a scent boost. Did you know that there are certain plants that can protect you and your family from harmful toxins in the air? Plants like Rubber Plant, Snake Plant, and Money Bonsai have properties that can combat formaldehyde and volatile organic compounds. The best part? These plants are easy to maintain, too!